This session will be led by Katy Anton - Senior Application Security Consultant @ Veracode, OWASP Bristol Chapter Leader & Project Co-Leader for OWASP Proactive Controls Project. Katy will take the audience through the ins and outs of the OWASP Top 10. These are hard questions, as evidenced by the increased cyber breaches. This session will explore the OWASP Top 10 (2017) and will identify the security controls that can prevent these vulnerabilities in which developers can use in the software development lifecycle. By the end of the webinar, you will have an arsenal of security controls that you can start using and apply them while writing your software applications. 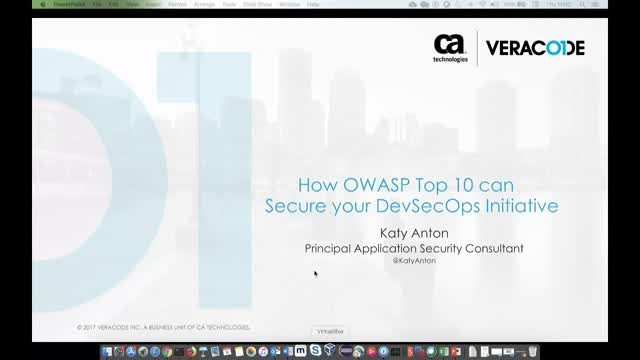 Register to this session to find out how the OWASP Top 10 can secure your DevSecOps Initiative!